Sometimes you can successfully connect to QuickBooks, but when trying to access some specific tables, both the QuickBooks and Application show no response, this may cause the crashing of your company file. Rebuilding your company file can fix this. It is always recommended to take backup of your company file before any operation. Then select "save it now", define the store path, click finish to complete backup. 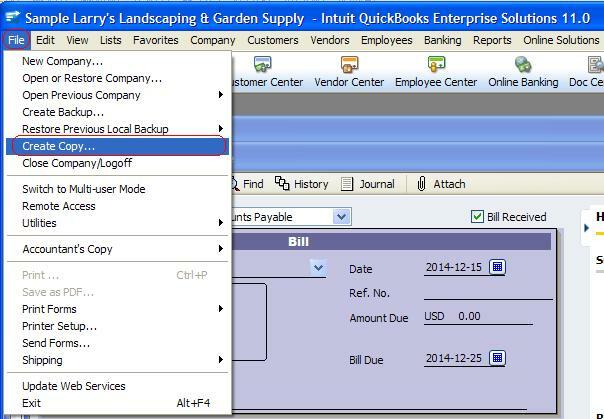 After Backup the company file, we can simply choose Rebuild Company File in QuickBooks. Please query the table again, we recommend using date filter for huge tables like Transaction or TimeTracking. I can get data in the Time Tracking table but not in the Transaction table. Should I rebuild my file anyway? Yes, Please rebuild your QuickBooks company file.